Please enter valid Grading Code. Sensei Paul has been educating Karate to kids from all over Western Australia for more than ten years. He has undertaken his training in Perth, Melbourne, Sydney and internationally-bringing a wealth of practical knowledge and love to the way he teaches his classes. Sensei Paul has been teaching Karate to kids from all over Western Australia for more than ten years. He has undertaken his training in Perth, Melbourne, Sydney and internationally – bringing a wealth of experience and passion to the way he teaches his classes. Senpai Brodie started his training at the age of 13, after a few years of training started assisting in classes and since then has grown into a supportive and encouraging karate instructor teaching his own classes. Having taught over 1000 classes for kids alone he has excellent experience in the field. Sempai Andy is an exceptionally experienced instructor with the knowledge to having train more than 1500 karate classes for kids and adults. He has a background in PT and is a perfectly qualified sports coach. He is esteemed of being passionate and great with kids. 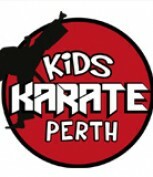 Copyright © 2019 Kids Karate Perth.All Rights Reserved.